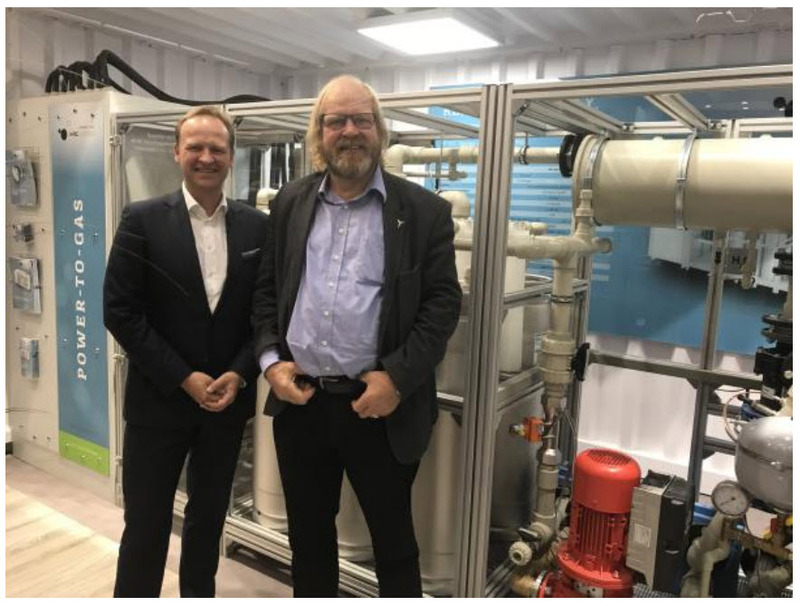 H-TEC SYSTEMS delivers its ME 100/350 PEM electrolyser for first customer practical application: The Citizen wind park Ellhöft (Bürgerwindpark Ellhöft) will use it to convert wind energy into green hydrogen and sell it to the transport sector. By drying the generated hydrogen, H-TEC makes it usable as a fuel according to ISO 14687. A new hydrogen refueling station west of Flensburg will sell it as fuel. It is planned to have the electrolyser installed and up and running by the spring of 2019. 100/350 at WindEnergy Hamburg 2018. “Our ME 100/350 PEM electrolyser is a key component for converting renewable energies into electricity thereby opening up new and attractive markets above all for wind park operators outside the EEG (German Renewable Energies Act). 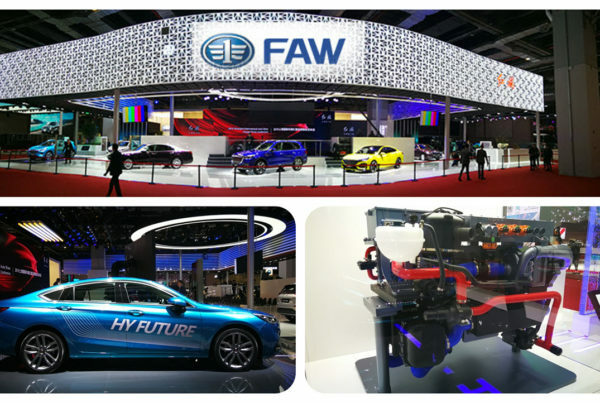 It produces up to 100 kilograms of hydrogen per day nominally, at an electric load of 225 kilowatts – this is sufficient for fuelling up to 20 hydrogen cars per day, which will satisfy the current demand”, explains Frank Zimmermann, managing director for sales at H-TEC SYSTEMS. The very compact design of the electrolyser in a 20-foot container makes its placement very flexible: Wind Park Ellhöft has decided on placing it directly at the hydrogen filling station. 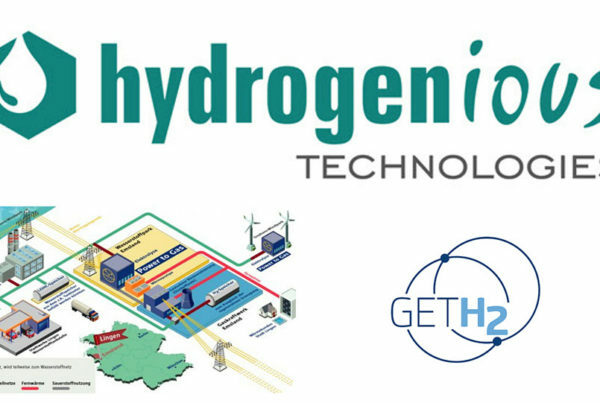 The H-TEC electrolyser will be integrated into a grid, which makes it possible to generate green hydrogen on site in Ellhöft, exclusively for the local hydrogen filling station in Westre. 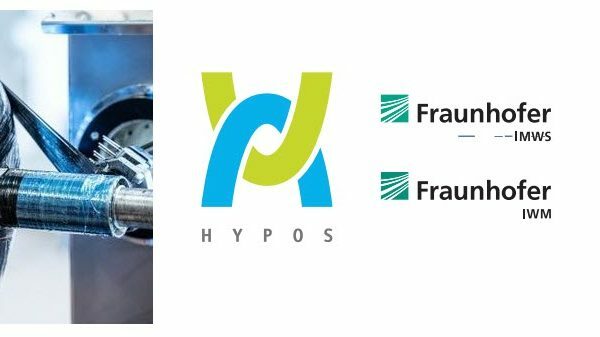 “If the demand for hydrogen increases, it is no problem to add further electrolysers to the grid”, says Frank Zimmermann. In general the ME 100/350 electrolyser can adapt to changing load profiles automatically, for example due to fluctuating (wind) energy or a change in hydrogen demand. Reinhard Christiansen, initiator and director of Wind Park Ellhöft is convinced that the hydrogen mobility turnaround is coming: “Our wind park started operation in the year 2000. As the EEG funding expires and in view of the high wind over-capacity, the need arises to find alternative, economically attractive marketing options. We see very great potential in converting wind energy to hydrogen and using it for transport. First of all we will begin supplying individual and public transport with the hydrogen filling station. We specifically decided to use the PEM technology because this ensures that hydrogen is produced in very high purity.” Compared to other conversion and storage methods, electrolysis has the highest energy storage potential. The electrolyser by H-TEC SYSTEMS can convert 5.4 MWh of energy into 4 MWh of hydrogen and 1.4 MWh of heat achieving 95 percent efficiency. GP JOULE itself will integrate five of the PEM electrolysers by H-TEC SYSTEMS into its public transport hydrogen mobility project, which is being implemented with a number of partners. Here too, regional wind energy is converted into green hydrogen as an affordable and climate-friendly fuel for buses and other hydrogen cell vehicles. In this context two hydrogen filling stations are planned in Niebüll and Husum.